Tickets are £25 per person for an evening of magic, including close up performers, two stage acts and a hot and cold buffet. Steve Cooil and Anthony McDaniel will be our main stage acts. 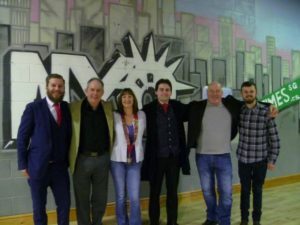 John Jones, Luke Morgan and Scott Prior will be performing close up magic. Next Tuesday is our first Notebook lecture. At this meeting 4 members will be lecturing on their own chosen subject. We have some really good stuff. Just under two weeks to go until our NWMC close up competition. Unfortunately though I haven’t received any entries yet. The North Wales Magic Circle is proud to present the Notebook lectures! The notebook lectures will consist of 4 short lectures from our very own members who will have at least one little gem that they will be able to give their expertise on. This could be from a multitude of things. It could be their favourite trick that they have been performing for years or even the way that they go about constructing a routine. It could range from cards to coins to mentalism and comedy. The great thing about this is that there will be something for everyone and because we are all members if you find you are struggling with one of the moves you can ask them at the next meeting. You can even show other members and this will bring us together and give the opportunity to give constructive feedback (which we all need). Now it comes down to who will be giving these lectures. This is where I need you! 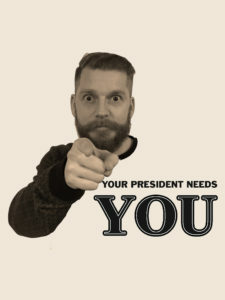 Your President Needs you! I will be calling some of you and asking for you to put something together for the notebook lectures. This is in my eyes a privilege and your president needs you! I am looking forward to the Notebook lecture and I hope you are all too!